Care of Previews World and artist Hal Laren, we have some images of a couple of the variant covers for the upcoming Transformers VS G.I. Joe annual. 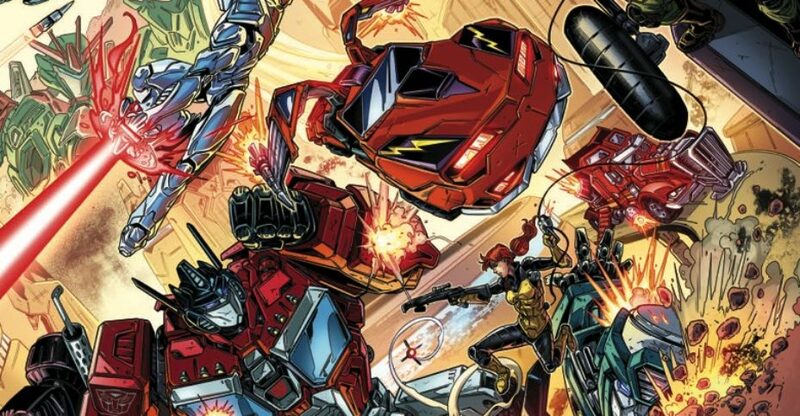 The annual is the comic adaptation of a hypothetical movie version of the 13 issue comic series, so expect it to partly retell and partly reimagine the crazy events of the most unique of Transformers and G.I. Joe fiction. The subscription cover, which was posted over at Previews World, runs with the whole “movie adaptation” idea with a cover that resembles the style of a movie poster, featuring many of the main characters presented in a striking style. The exclusive cover by Hal Laren, on the other hand, is an AOD Collectables exclusive currently up for preorder. This cover features a sharp and dynamic presentation of Autobot Jazz. Check out the art of both covers after the break. 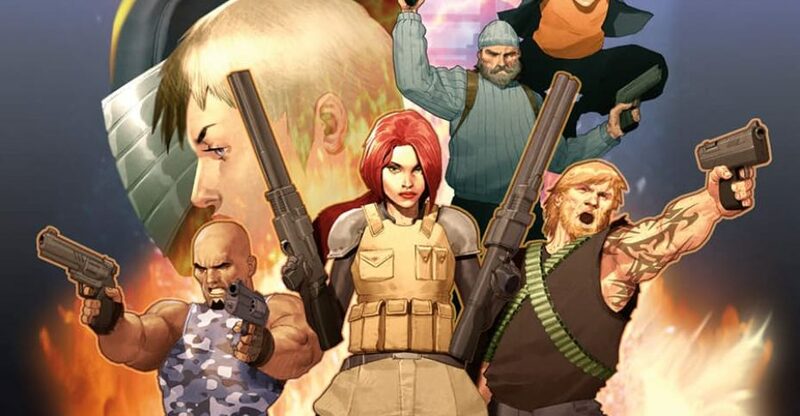 A new ongoing series titled “Revolutionaries” launched today from the creative team of writer John Barber and artist Fico Ossio, with a team of characters from across the shared Hasbro universe, including Kup from Transformers and Mayday from G.I. Joe. With this new series now on the stands, CBR jumps ahead a few months with the exclusive first look at the covers for April’s “Revolutionaries” #5, along with solicitation text for the issue. But that’s not all! A different take on the Hasbro crossover will unfold in the five-issue “Revolution: Aw Yeah!” miniseries, with Art Baltazar — known for his collaborations with Franco on acclaimed all-ages comics such as “Tiny Titans’ — bringing his distinct style to the Hasbro characters. CBR has the first look at the cover to April’s issue #3, which includes a face-off between Destro and ROM, along with the solicitation text. Make sure to read on for details on each issue. Will you be adding these new titles to your collection? Sound off after the break! IDW artist John Royle stopped by and gave us a few Cover imgages to his upcoming issues of G.I. Joe Revolutionaries #4 and RAH Gatefold Cover #237 to 239. Thanks to the events of REVOLUTION, the G.I. Joe team led by Scarlett returns to the fray, leading the charge against invading TRANSFORMERS and other aliens. But when a US military defense base goes dark, Scarlett has reason to suspect that these enemy forces may have infiltrated G.I. Joe. It’s up to her, Roadblock, Rock ‘n Roll, Quick Kick, Wild Bill, and Shipwreck to move in and root out any traitors before the facility falls into the wrong hands! Make sure to check out more original art from John Royle on Instagram! 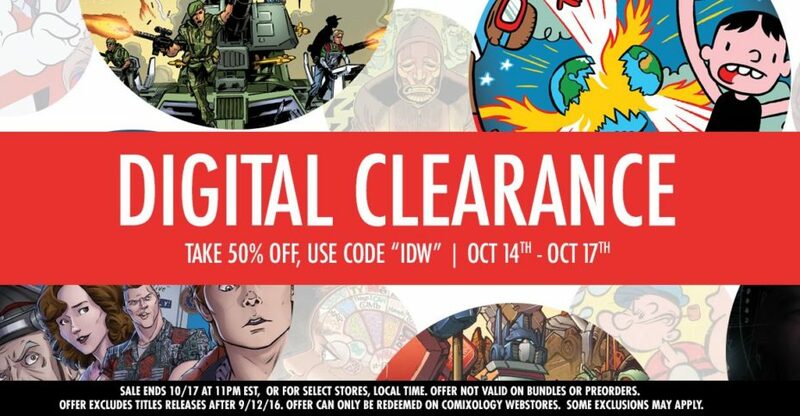 IDW Comics Sale 50% Off All Books Released Before September 12, 2016 at Comixology. Make sure to head on over to the Comixology Sale page for more details. The Art of Adam Riches Facebook Page has shared an image of the cover for the upcoming 3rd issue of IDW Publishing‘s Revolution. This cover (Acroyear, Space Glider, Matt Trakker) is the 3rd in a series of 5 toy covers for Revolution. These covers are brand new art, drawn and painted in a combination of traditional and digital mediums, created to give the impression of an imaginary toy line based on the Revolution series,which combines the worlds of G.I. Joe, Transformers, Micronauts, Rom, Action Man, and MASK. Adam has done a great job with these covers so far and the hits just keep on coming! 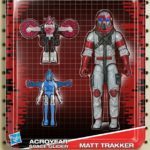 Revolution #3 (of 5)—Imaginary 2-Pack Toy Variant: Acroyear, Space Glider, and Matt Trakker. THEY CAME FROM MICROSPACE! What terror reaches through the tendrils of entropy into our universe-and why does ROM want to kill it? Meanwhile, M.A.S.K.’s MATT TRAKKER makes a startling discovery about the TRANSFORMERS-but will G.I. JOE’s SCARLETT believe him? Have you been following Revolution? What are your thoughts so far? Sound off after the break! Looks like G.I. Joe is getting a fresh coat of paint. Thanks to CBR.com we have our first look and information at the new series that will continue post Revolution. 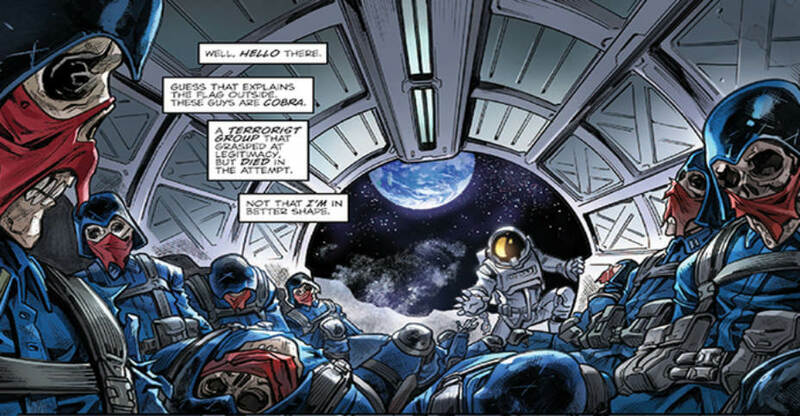 From what I read over on the CBR article it will have a more Sunbow cartoon feel and they want more action. Both are good things. Check out the article over on CBR.com and let us know what you think? Finally! 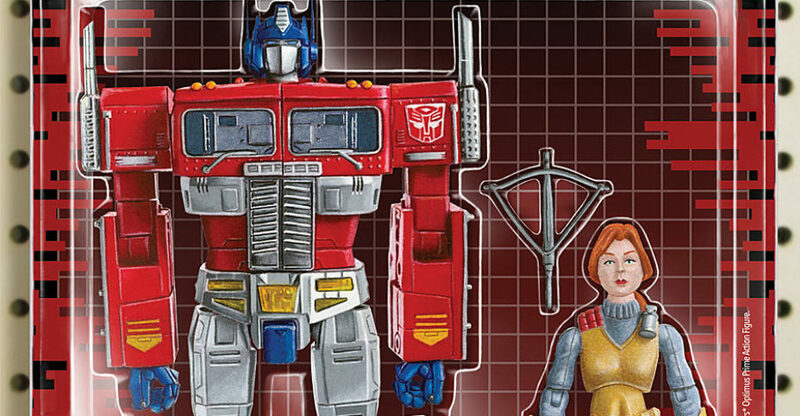 The long overdue Hasbro Universe comes together under one flag, IDW’s Revolution! Our first taste of the run that will crossover into many Hasbro properties, including M.A.S.K., ROM, Transformers and others was launched at SDCC 2016 with Issue #0. To be honest, the book was kinda vanilla and didn’t open to many eyes they way I would have hoped. However fans of the many lines that showed up in issue #0 seen growing excitement, at that point that’s all that mattered. Fast forward to the eve of Revolution and it’s time to kick off what will hopefully be the future of all these brands and a combined Hasbro Universe….. IDW did not disappoint! IDW’s Revolution crossover is almost upon us! 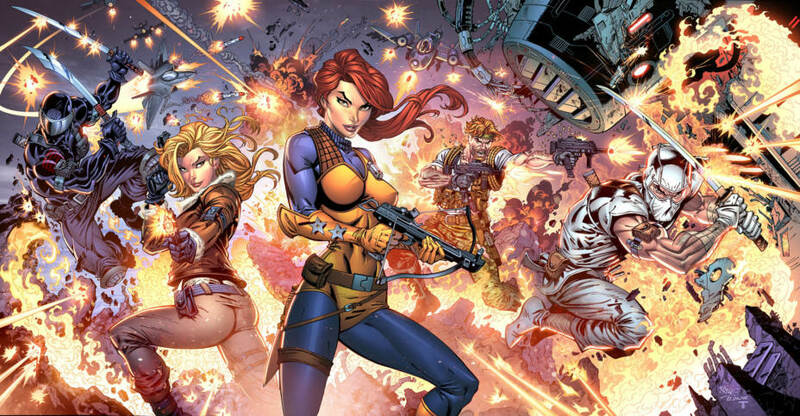 The event will see Transformers sharing a continuity with G.I. 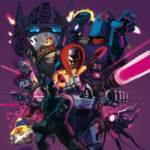 Joe, Action Man, MASK, and other Hasbro comics being published by IDW. The preview contains the full Revolution Prelude as well as the first half a dozen pages of Revolution itself – and the series spins right out of the All Hail Optimus storyline as well as having a central plot element relate to Ore-13! That means if you’ve been a fan of IDW’s Transformers since the start, you are going to want to pick this series up! Check out the preview over on Comic Book Resources, or attached to this post. THE REVOLUTION BEGINS! Explosions rip across the Earth—and all signs of blame point to OPTIMUS PRIME and the TRANSFORMERS! G.I. JOE refuses to go quietly and they assemble heroes big enough to stop the invaders! ACTION MAN and M.A.S.K. 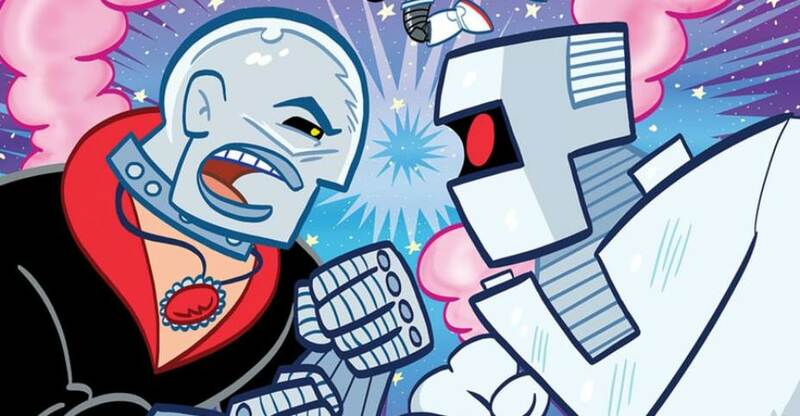 fight for humanity—but where do ROM and the MICRONAUTS stand? 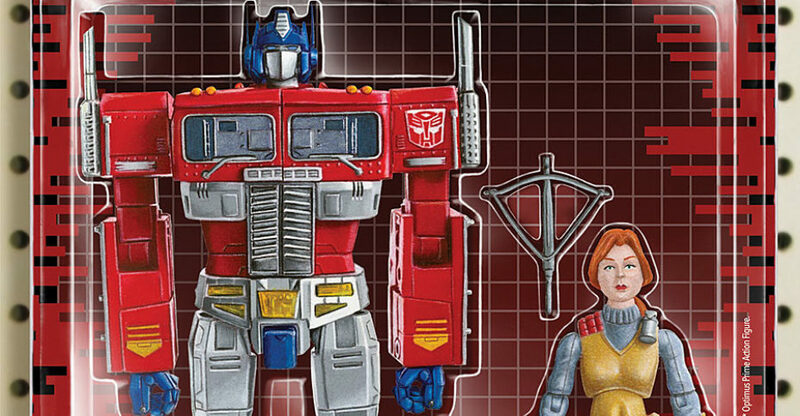 Celebrating more than a decade of stories by IDW and HASBRO, this unprecedented bi-weekly event draws everything together—and leaves nothing standing. The REVOLUTION is here TAKE A STAND! Download your free Revolution #0 Here!